Statistics reflect that over 55% of business owners die without a will, and that only 15% of family owned businesses make it to the second generation. If you want to make sure that your business will succeed you, it is necessary to establish an estate plan to facilitate that process. Who will manage the family business after the original owner’s death? Without a financial game plan for the succession of the business after “mom and dad” are ill or die, the lawyer and accountants will have to cope with the business mess later. That will cost the surviving family members a great deal of money. Failure to plan will doom the business and be a hardship on the employees. 1. Who currently owns stock in the family business? 2. Who will be the #2 person in charge of the business? 3. Is the estate plan (will or trust) for inheritance of the business up-to-date? 4. In case of only temporary illness of the business owner, who has authority to run the business, sign checks, hire and fire, etc., until he/she is well enough to return to work? (This should be dealt with in the corporate by-laws or a Durable Power-of-Attorney document). 5. How will the business debt and creditors be handled in case of emergency? Does the family know about the loans and line of credit obligations the business has incurred while mom and dad have been in sole control? 6. Should life insurance be purchased to provide liquidity to pay business debt or buy-out of shares owned by the deceased? 7. Is the family business, through its corporation or partnership, subject to a “Buy/Sell Agreement” whereby other shareholders or partners have a pre-determined method to appraise the business and arrange for the purchase of your deceased parents’ shares? 8. 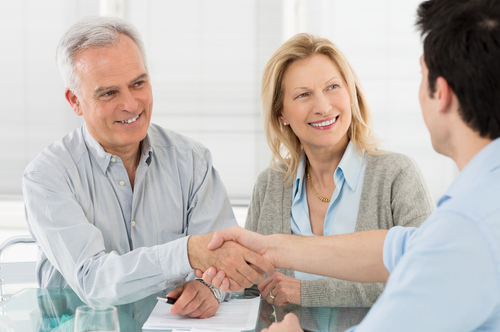 Do you or your parents have a longstanding relationship with the accountant or CPA for the business? Having the CPA involved in these estate plans is critical. M. Keywood Deese is Senior Vice President & Trust Officer at Vision Bank, N.A. of Ada, Oklahoma. How to sleep, breath, and live…..BETTER!